I can't even begin to explain how much I loved Rome. We were only there for a couple days, but I didn't want to leave...maybe ever. I think Rome is one of those cities that you could walk around for years and still discover new things every day. Although nothing in Rome seems all that "new," the city is made up of tiny streets and winding alleyways where it's so easy to lose yourself (and your husband, if he's not close) and discover something ancient and magical. Every block seemed to have another gorgeous old church that I was dying to explore. Every alleyway was filled with museums and shops and restaurants that didn't show up on any map we had. Every corner we rounded we were pulled deeper into the heart of a city that stole mine. We didn't really have a plan or destination as we walked around Rome, just a general desire to get absorbed into the city and see what we could find. I think we did a pretty good job of showing ourselves around. Or maybe Rome just did a pretty good job of showing us her beauty. We saw at least 6 million churches. 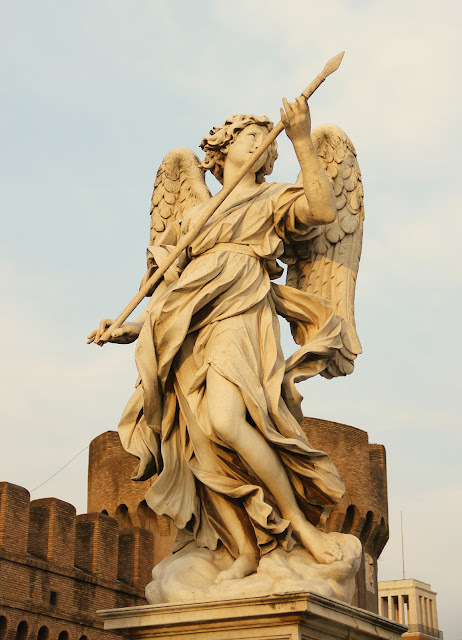 And don't forget the Bernini fountains. With Trevi being the most famous. The Mausoleum of Hadrian (aka the Castel Sant'Angelo). Remember this from Angels & Demons? Is this amazing or what? We made another trip here to get some photos at night. Which we didn't even attempt to get close to because I would have had a claustrophobic panic attack. Instead we hiked up to a lookout point in Villa Borghese and watched the sun set in the park on our last night in Rome. I'm already dreaming of the day I can go back. I just can't get over the architecture! Ahh! This makes me so excited to go to Rome in the spring! Can't wait to see your Amalfi Coast photos! I want you to know that I've said "Roma! 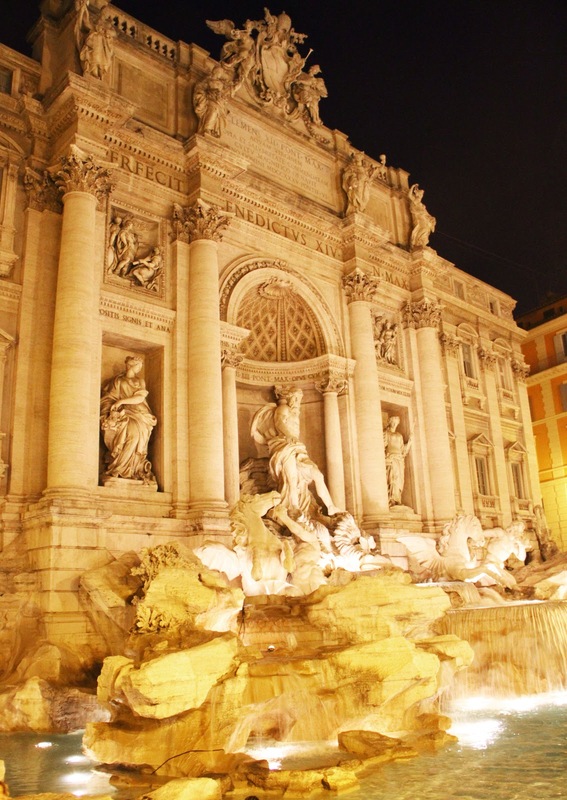 Rome is very hard for me!" like in Phantom 500 times while reading this post. Because I am THAT awesome. So pretty! I love, love, love all these pictures. Can we go and take baby Hughie like uhhh, as soon as baby Hughie can travel? Surely we can find some Italian nanny to watch the bambino? Great pictures. Is it Raphael's tomb that you went back to for pics at night? That first one is incredible! It looks like a postcard! I watched the sunset from the same exact spot! It is a great view of the city from up there :) P.S. Did you at least do some shopping towards the bottom of the Spanish Steps? Fancy! SO beautiful! We're going to Europe for our honeymoon and I can't wait! I dream of walking these streets some day, seeing it through your photos makes me want to pack my bag today. wow!! i could soak in these photos all day long... gorgeous! So beautiful! I absolutely want to go some day! Baby Mac - Boy or Girl?